Cabanda Care provides all levels of residential care including low care, high care and a secure wing. Respite care is available for short and long term stays. To be eligible for admission prospective residents require a current ACAT assessment, which can be arranged through your doctor. As there is a high demand for residential care places, prospective residents are urged to put their name on the waiting list. 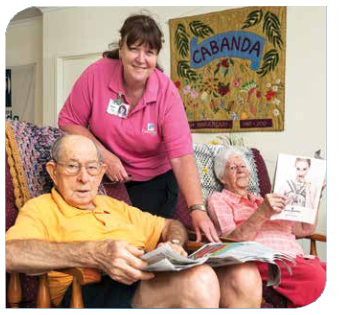 Cabanda Care is an accredited aged care facility owned and managed by the Rosewood Community. All resident rooms are ensuited. Meals are served in communal dining rooms. Activity program provides both individual and group activities. Registered nurses and the care staff provide personal and clinical care.